Imagine having your wedding ceremony and reception at one of the most beautiful facilities in the St. Cloud area in Central Minnesota! The Grands at Mulligans is your exclusive and premier wedding reception site. We offer a completely private setting overlooking the Pine Ridge Golf Course. With two large patios and a water fountain, it’s the perfect setting for celebrating your special day with family and friends. We also take the hassle and stress out of planning your big day! You can check many items off your wedding planning “to do list” with our In – House Amenities such as: a second to none DJ sound and light show that will blow you away, complete decorating packages, ceremonies on site, photo booths, custom labeled wine, custom gobos that put your names in lights, custom floor graphics, wedding cake, fireworks on the golf course and so much more! 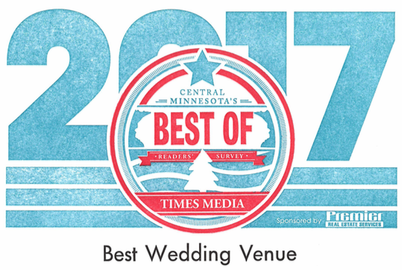 Schedule a tour and take The Grands Challenge and see why we are in most cases ½ or more off the cost of similar Twin Cities venues.